CigarScentedBeard replied to benfica_77's topic in Cigars Discussion Forum "the water hole"
When I read his comment I immediately thought of the fear running from these evil winged beasts. CigarScentedBeard replied to El Presidente's topic in Cigars Discussion Forum "the water hole"
I agree, I smoke both but find I much prefer Cubans. NC's are not only a lot stronger but the smell and taste lingers for hours. I wish Cubans did this. I would recommend trying the HDM epi. #2. Sounds like he wants something light, but then again I prefer strong and these are light to me. CigarScentedBeard replied to FatherOfPugs's topic in Cigars Discussion Forum "the water hole"
CigarScentedBeard posted a topic in Cigars Discussion Forum "the water hole"
I have 11 left from the box. Let me say so far 9 that I have smoked have been plugged. This box was purchased at LCDH in St. Kitts. This cigar amazingly enough was not fully plugged. Tough pull but not plugged. Pre-light: Cedar, tobacco, Easter chocolate, bagel, vitamins, cinnamon Teddy Graham's. 1st third: light flavor, light retro hale. Burn is uneven requiring touch ups. Went out once, hard pull is creating an issue pulling much smoke, and causing the uneven burn. 2nd third: Used my handy dandy perfect draw tool. Plug was exactly where all the others were.... About dead center on the cigar. Now she is up and running. Flavor has now reached a center medium,retro hale now a solid sting feeling. Now that the plug is cleared, the burn issues have been resolved as well. Third third: spicy, dry, with a hint of sadness. It pains me that this box was a hassle. I would like to try more RyJ's, but I'm a little hesitant to spend the money. I'm sure all of their cigars aren't like this, but it's like a drunken bad date. Sure she won't be as bad tomorrow, but do I want to risk another night with her, after all she tried to fight the bouncer, drunk dialed my ex's while I was in the bathroom using my phone and peed my bed......I mean..... You know...... Cost efficiency, cigars, Cuba, apple Jack's. Any who, the flavor was good I'll give it, but man, a whole box plugged? Good thing I own a deplug tool or it would have been a lot worse. Im almost hoping to win just for a box of hand selected just to try a RyJ that will be better to resurrect my thoughts on them. If it weren't for the plugs though, I'd give these a solid 7.5/10. Which is good in my opinion for the price, but I'd much rather go for partagas shorts. For those who don't know, RASSsssssssss is in fact the specially selected. Also something you may not know, specially selected auto corrects to special Olympics on my smart phone. Another thing you may not know, my smart phone is generally not smart. I enjoyed this beauty on the way home from work. Pre-light flavors: Cedar, tobacco, Hydraulic fluid, sealant, gloss blue paint, doritos, and ginger ale. (I work on helicopters) Construction: gorgeous specimen here. She is a little thick when compared with height to width ratio. Wrapper looks clean with exception to the glue, which I take as a happy worker being excited, not a flaw. Caps.... Respectable. Band... Intriguing. Excited... YES! 1st third: super light, would consider this portion a light to medium. No tingling for retrohale. I may have tasted chocolate and I may have eaten chocolate recently and don't remember. Burn is uniform and no runs. 2nd third: retrohale sensation greatly increased as well as the overall flavor is a full medium. Outstanding fragrance. Construction holds well with windows half down doing 80 mph on the highway. This was a necessary step in the review for judging quaity construction. 3rd third: she is a strong thick girl. Showing exact opposite as stated in the first third. Not in a bad way at all, I love strong thicker ones, especially to help with groceries and moving pianos. Although I like to refer to them as sturdy.... Yes a .....sturdy....cigar. All in all folks, I love the RASSsssssss as expected. Always delivers what is expected. I am looking forward to getting a few more boxes of these to see how well they age. I've heard a year old is nothing compared to 5 years. Recommended: utilizing my cigar calculator that is one of a kind and no one else has one.... I recommend this 9.967134014 / 10. So if you are on the fence about trying one, trust the mathematical facts stated above. Get it and love it! 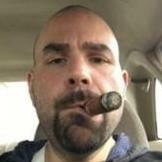 We should shoot a video on what cigar smokers really look like, but make it a parody of theirs. CigarScentedBeard replied to CigarScentedBeard's topic in Cigars Discussion Forum "the water hole"
Since my last post I was thinking the same thing, also have someone grab the cigars for me, so I won't know which is which until after both are done. This is an extremely valid statement. Very good point to bring up. I have a box of RASSssssss from 2018, those are pretty consistent I believe. So here's the next question....... What cigars to try this experiment with. 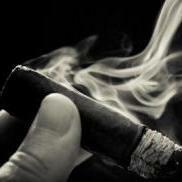 I need some opinions here, we need a cigar that has a noticeable change while aging over 5 years. Anyone have a suggestions for the cigar? I'd like to keep this experiment around the low 200s. I googled "buy cellophane for cigars" a person on Etsy has them 100 for 12 bucks. I think this may require a long term experiment 😕 So I think I'll volunteer. I'll buy a box, put half in sleeves and leave half out. Then smoke one every 6 months which brings us to approx. 5-6 years. The cellophane cigar wrappers, usually on NC's. Should I start buying wrappers to put on CC's. Should I buy cellophane wrappers to individually wrap each cigar for storage/aging? It seems there is some good to cellophane on cigars. I haven't heard of any, and there may be people that individual cellophane their cigars. Does anyone here do that? CigarScentedBeard replied to scap99's topic in Cigars Discussion Forum "the water hole"
Yes to the dog, yes to the punch punch, yes to that green yard! Enjoy your weekend!